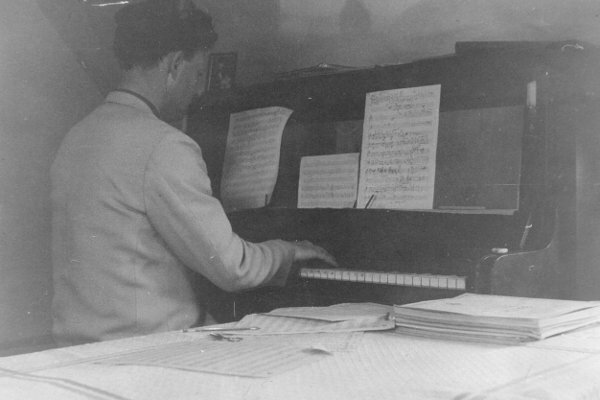 This website presents selected works by the composer Michael Gryspeerdt (1927-2000), it is aimed particularly at those interested in performing them. Materials and information are being gathered and added to the Music section as an ongoing project. Some pieces are available to buy from publishers, if you are interested in sheet music for other pieces please contact us. You can keep up to date with the latest additions and concerts on the News page, where you can also subscribe to updates. If you have details of an upcoming concert, a question, or would like to make a suggestion or contribution, please get in touch. Content is not to be reproduced without permission. Please contact us.